Copyright ©2001 - 2014. First Baptist Church of Saint Paul. All rights reserved. The women in the picture purchased and then put together over 20 ziploc bags of toys and hygiene articles to be distributed by the Free Burma Rangers. These volunteer soldiers will bring the packets on their backs into the interior of Burma. They will march several days carefully avoiding Burma army troops. Then they will set up temporary basic medical clinics. The clinics will serve families that have been internally displaced by the Burma army. There are thousands of people who have been forced from their villages and are now living very tenuous lives in hiding. The Free Burma Rangers know that more than medical assistance is needed. By bringing these simple gifts to the children and conducting what we would call vacation Bible school they also are assuring them that though displaced they have not been forgotten. 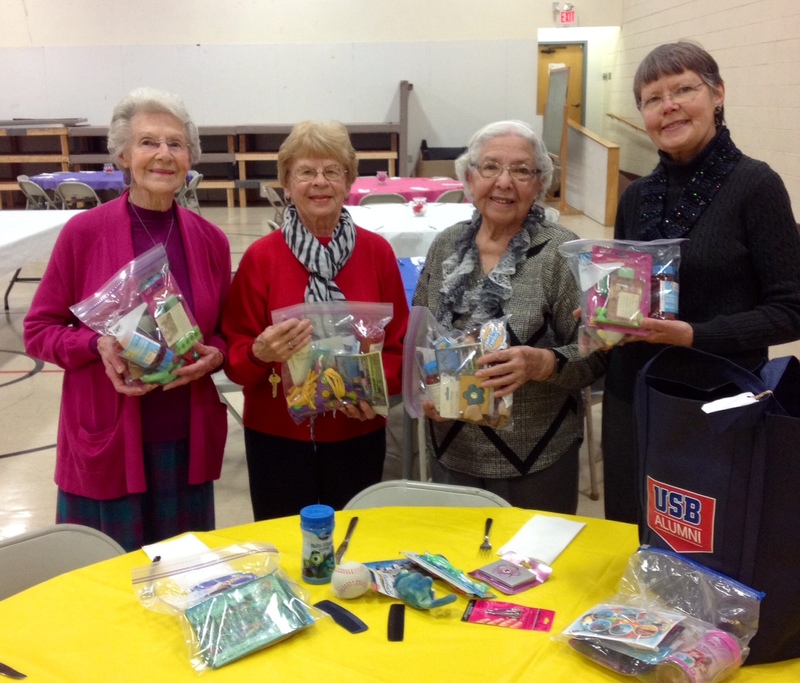 Each packet created has a postcard from Minnesota with a greeting and Bible verse included. Our group will deliver these gifts to the Free Burma Rangers headquarters in Chiang Mai, Thailand.